I was sifting through my photos trying to find something to share that wasn’t of the kids or the cats and having very little luck. Then I spotted this photo I took from the car while, in very slow moving traffic, on the way home from the hospital. Admittedly it’s not the best of photographs, but I think it means a lot to me. This factory was where a few members of my family have been employed. I mostly remember my auntie working there and she had a special pass for the shop which she would share with my Mum. At Easter, my Mum would go along and buy a load of yummy Easter Eggs at a much cheaper price than in the shops. Every summer, there is a fete held on the grounds in front of the factory. They have a big fairground and fireworks in the evening. We’ve been many times, particularly when my older kids were younger as it always seemed to fall around my daughter’s birthday. What a great treat for her. About 30 years ago, they opened a brand new visitor centre right next door which is very popular with people far and wide. It actually took me around 25 years to visit it, but we’ve been several times since and experienced it in both summer and winter time. Also, around 12 years ago we spent a whole afternoon looking for a geocache which was hidden in a tree near here. (Just right of the photograph.) I learned so much more about the area on that visit, including that all the trees are numbered! When we found the tree we were looking for I was keen to be the one to retrieve the geocache. So, I put my hand into the hole of the tree and straight on top of a frog who was guarding the little box of treasure. The factory was the first in its chain and its produce is known in many countries around the world. The whole area around it was built by the factory for it’s workers and is still very much unchanged. When you pull into the local train station everything is painted in purple. Do you know what factory it is yet? One last clue, it smells divine! It’s the Cadbury factory in Bournville, Birmingham. How can I not love chocolate when I live a chocolate button’s throw away from Cadbury World! Of course, Cadbury World was not always there, originally it was just Bournville Village, built by the Cadbury family. John Cadbury was from a family of quakers who did not drink alcohol. As an alternative John made tea, coffee and drinking chocolate and sold it in a small shop in Birmingham. The drinking chocolate became really popular and he opened factories in the city. His son’s took over the business and in 1978 George Cadbury was looking for somewhere less industrial to open a factory and chose Bournville, a village outside of the city centre. He built homes for his workers and a cricket field to encourage them to keep healthy. Bournville still remains a village today, and the cricket ground is still there. Moving on from drinks Cadbury’s began making chocolate and became more and more successful. Did you know that Cadbury’s Roses were introduced as far back as 1938 and are still popular today! Cadbury’s also have some fab Halloween Sweets this year. Look out for these spooky Goo Heads in Store, or order them online, I’ve always found Cadbury’s gift shop really reliable. Disclosure; this post contains affiliate links that if you click through will not cost you anything but may earn me a few pennies. Thank you if you click. In our house Christmas and Chocolate go hand in hand. I always buy a big hamper of chocolate to share around and we have chocolate Advent Calendars to count down the days. Now there are lots of places to get your chocolate from but two of our favourites are Cadburys and Thorntons. I’ve decided to take a look at both and see what they have to offer for Christmas. Read on and then decide which you would go for Thorntons or Cadburys? There is a prize to be won for one of my lucky readers. My kids adore Advent Calendars, a tiny piece of chocolate each day when they get home from school, and they know it’s getting closer to Christmas by how many window they have opened. Cadburys are offering 3 Advent Calendars for £6. Sounds like a bargain to me! Thorntons also have a special offer on their Advent calendars, they are all under the 3 for 2 offer, with the cheapest ones being £5 that means it will cost you £10 for three calendars, but you can mix them for a wider choice, and even choose more expensive ones, although it’s always the cheapest that you will get free. Size wise, these £5 ones have the same amount of chocolate than the Cadbury ones, but you do get a bigger variety. Selection Boxes are a great stocking filler and a fab last minute gift for kids. I always wrap a few spare ones up and keep them under the tree, then if we have surprise guests at Christmas I can give the kids a Selection Box. Thorntons do not do Selection Boxes, but you can buy gifts like Chocolate Santas or Snowman at a slightly more expensive price but again they do come under the 3 for 2 offer so great for mixing gifts. If chocolate is not gift enough in itself you can always buy chocolate with a gift. I couldn’t find anything similar at Thorntons. How about a little tipple with your chocolate? Or a more grown up gift? Both Cadburys and Thorntons do a selection of alcohol and chocolate mixes with price ranges to suit all budgets. Here I’ve picked two similar for comparison. Need something to please the whole family, or looking for an extra special gift? How about a Hamper. Both Cadburys and Thorntons have lots to chose from, with a range of prices. I’m on a mission to get 1000 followers on my Facebook Page, would you join me there and make my day? Have you made up your mind? Would you rather have Cadburys or Thorntons under your tree this Christmas? Take a look at this Christmas Super Fun Pack from Cadburys and this Puddings Christmas Selection from Thorntons and let me know which you would prefer. You will need to fill in the widget for your entry into the competition. 9. Prize will be sent out within one week of receiving e-mail details via the supplier. 10.If the prize is not available an alternative may be sent of the same value. 11. There is no guarantee that this prize will be received in time for Christmas, but prompt replies by the competition winner and stock availability will prove this easier to achieve. It’s that time of year when it’s almost the end of term and parents start thinking of gifts for their kid’s teacher. In the past I’ve spent ages with my kids making home made gifts or baking cupcakes. Last year I wasn’t well enough and this year I find that they are getting a bit old for the home made things so I will have to buy presents again. Thankfully, Star is now in Secondary School so I only have to buy two gifts for Boo and the Little Man. Do you buy presents for your kid’s teacher? Tell me what you are buying this year for an entry into my new competition for a box of Cadbury’s Chocolate for sharing. A great way to get the summer holiday started. First though, please take a moment to browse some of the teacher’s gifts that I’ve found. 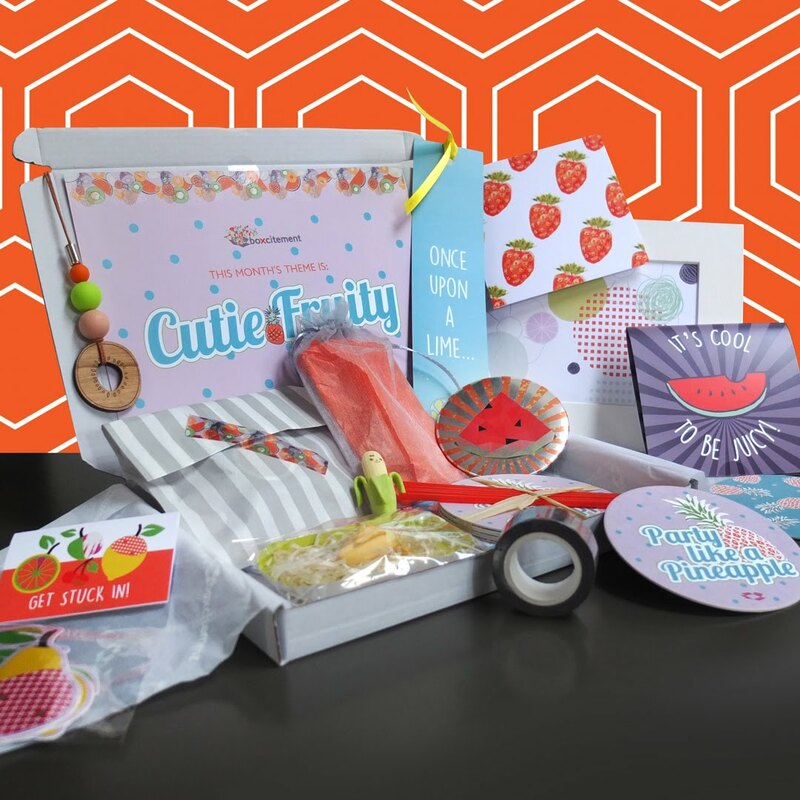 I would love it if you were to click through as there are lots of other gifts available on these sites and I’m sure you will find something that’s just perfect for your child’s teacher. Last year I bought Star’s teacher a one off box of treats from Boxcitement. She was absolutely thrilled with it. You can find some bargains on the sale page. Who doesn’t love a nice cuppa! 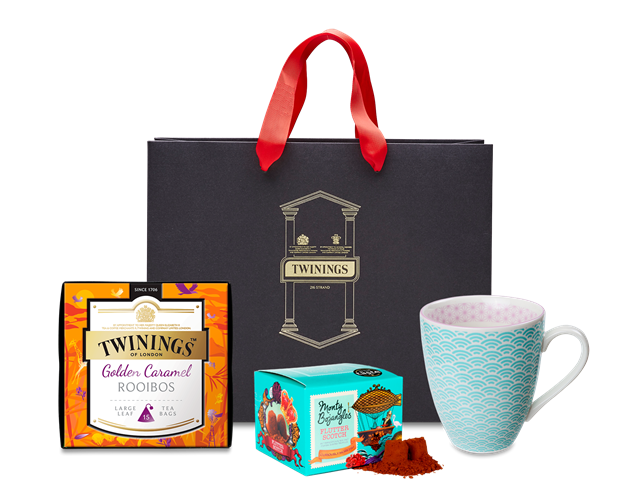 This gift from Twinings is just lovely and they have many other gifts in their shop too. 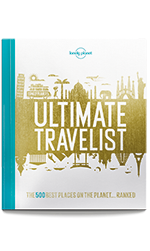 Why not inspire the teacher to get away from it all during the break with a fabulous travel book like Lonely Planet’s Ultimate Travelist. 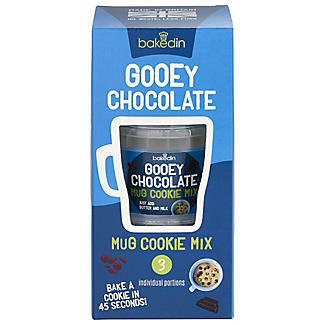 Now this is a great gift for any teacher, they can go home, bake themselves a delicious chocolate chip cookie in less than a minute and put their feet up, relax and enjoy! Contains 3 portions to microwave in just 45 seconds. Do you know that your kids teacher is a cat lover? 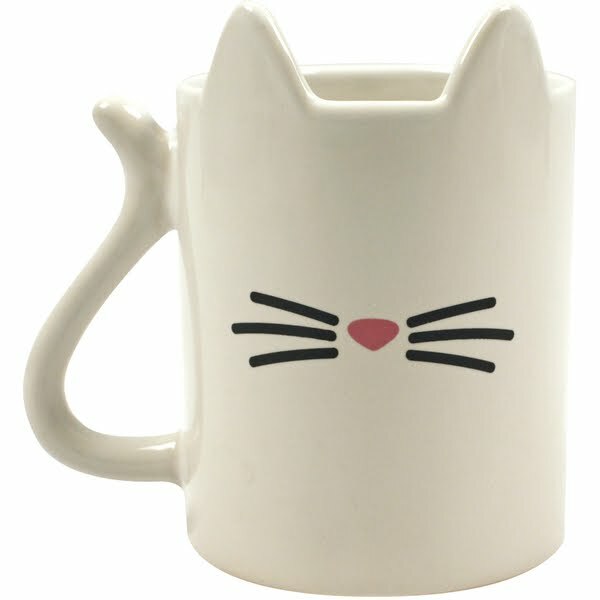 Well, then they would love to receive this amazing Cat Mug from My Geek Box. You can find all sorts of geeky gifts at My Geek Box from Doctor Who to Star Wars and much more and prices start from less than £10. So check them out if you are looking for something a little bit different. Chocolate is a great gift but you could make it even greater buy buying a personalised Dairy Milk bar from Cadburys. You can personalise bars from 110g for £4, 200g for £5, 360g for £7 and 850g for £12. So, something to suit all budgets. It’s real easy to do too. Fill in the widget to enter and Good Luck! You can find another competition on my blog here. Father’s Day is coming up next and I’m sure most Dad’s would like one of these gifts from Cadbury’s Gift Shop. Read on for your chance to win a choccie prize in my new competition. What could be a better gift than this Heroes box of delicious treats. CONTAINS: 1 x Boxed Cadbury Dairy Milk Bi-Plane by Corgi- Special Edition Die Cast Model wingspan 9.5 cm . I bought one of these for my husband on his birthday, it really is a lovely gift, Cadbury Bars and Beer. Even better than a bar of Toblerone, a bar of King Dad Toblerone. Dad’s would love this. What about something bigger? this gorgeous Chocolate and Wines Hamper would certainly make a Dad’s day special. What about the Dad who Doesn’t like chocolate? Don’t worry, Cadbury’s still have the perfect gift. Take a look at this Sweet Gift Hamper. There is so much more to choose from at the Cadbury’s Gift Shop. There is something to suit every budget too. Why not tell me in the comments which gift your Dad deserves this Father’s Day? 11. There is no guarantee that this prize will be sent out in time for Father’s Day.